This hair pin is lovely and should be able to stay in place in my hair. Great price to! 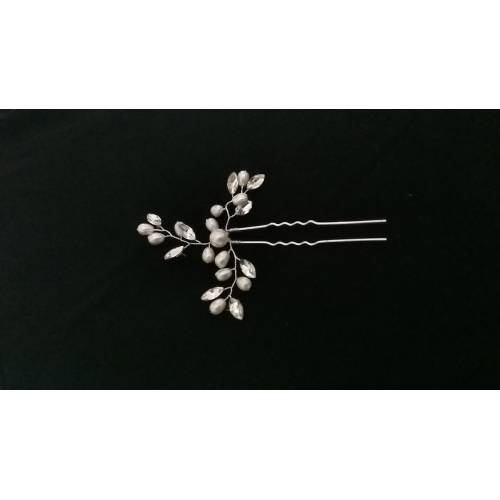 This hair pin is lovely and should be able to stay in place in my hair. Great price to! Great! Precisely what i needed. Well packaged and arrived in good condition. Great! Precisely what i needed. Well packaged and arrived in good condition. Got my delivery 19 days after it was shipped and the item just look the same as on the picture. I am delighted with my purchase and I wont be worrying about headpieces for my big day either . I recommend the purchase ☺? Got my delivery 19 days after it was shipped and the item just look the same as on the picture. I am delighted with my purchase and I wont be worrying about headpieces for my big day either . I recommend the purchase ☺? Im very happy with the hair clip and cant wait to wear it for my event. Im very happy with the hair clip and cant wait to wear it for my event. Like in the photo. Very satisfay! Like in the photo. Very satisfay!